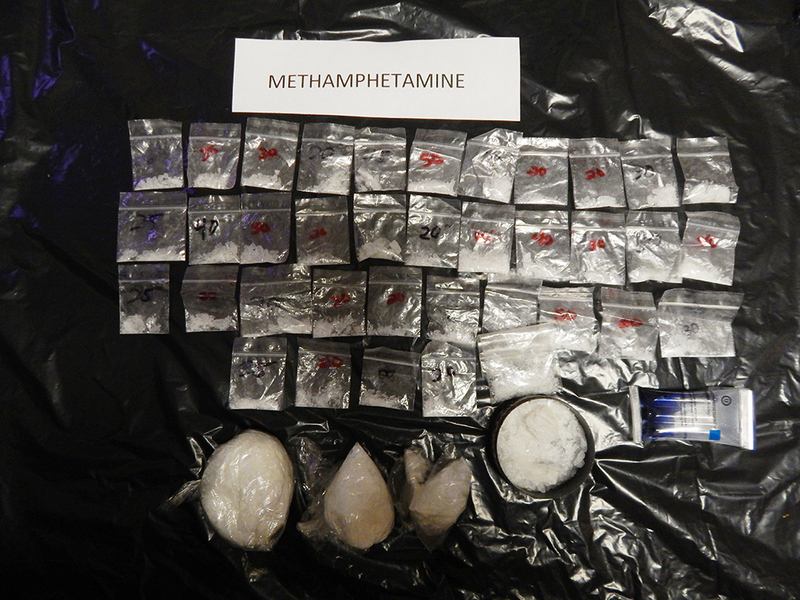 Shown are the methamphetamines that were seized during a drug bust made by the Fayette Sheriff Department. Other drugs were also seized at the time of the arrest. The Fayette County Sheriff Department made a major drug bust this month, removing several grams of illegal drugs from the streets. While in the course of a routine investigation, Deputy Justin Watkins and Deputy Chris Hubbert arrived at the home of James Sherman Jones, located at 1507 2nd Ave. SW in Fayette.